Dante Stella write a good summary of different types of Minolta Autocord. The most common one is the Autocord RA. And nowadays it is a bit difficult to find a Autocord CDS, even on ebay. Autocord L – Citizen Shutter, selenium cell meter (nameplate flips up), LVS exposure system (take the reading; add the numbers on the shutter and aperture scales to match the reading). Autocord CDS I / II / III – Like the L, but with a CdS meter instead of selenium. The last one takes 220 film as well. In sum, I have discovered that the Autocord has better optics, easier focusing, and a more logical control layout than any other TLR. Too bad mine sat in a closet for 15 years before I learned how to use it. This article will discuss the common features of all of the Autocords. Someone has a listing of all the models, but frankly, I couldn’t tell you what the name of mine is – the first model. 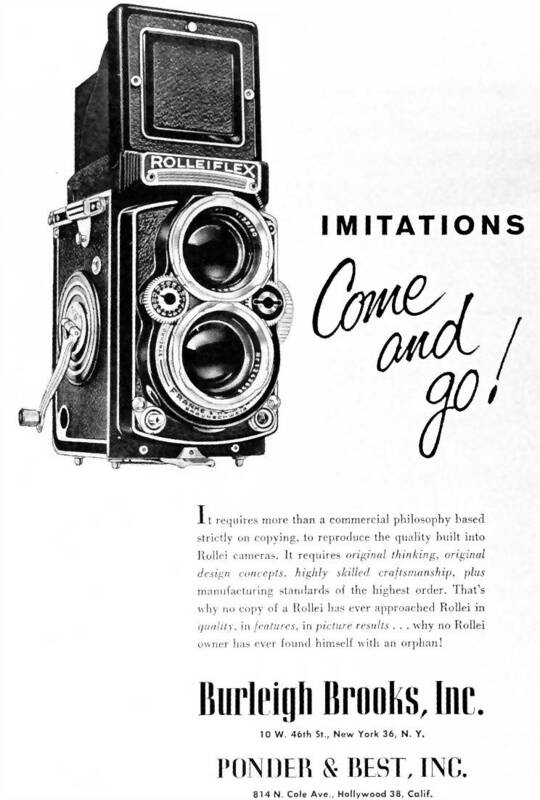 Special features and burdens – definitely a different animal than the Rolleiflex. 1. The Autocord features a focusing helicoid, not a knob. The focusing lever sweeps an arc under the lensboard. There is a separate arrow for infrared films. The downside is that the lever is made of Zamak, a sometimes-unstable alloy. 2. You can operate the shutter and aperture controls with the same hand, at the same time. Aperture and shutter are via sliders, not the traditional Rollei wheels. No downside here. 3. Unlike the Rollei, the Autocord is capable of double exposures. Push a tab forward and crank the wind lever backward. 4. Speaking of the wind lever, it has a folding tip to lock it in place, rather than having the entire lever fold back into place. This means that it can be folded with one hand. Advantage: Minolta. 5. The shutter runs from 1-1/400 sec, and is cocked by the wind lever. The downside is that the Optiper shutter runs at about half speed, and no one ever wants to fix it. Of course, you can have it timed and go about your merry way. The Citizen shutter is better, but it is usually attached to a much less elegant type of Autocord. 6. The lens is a lot sharper than the Rollei Xenar or Tessar. Enough said. The Rokkor is legendary and I haven’t yet encountered one person who disagrees with my assessment that the Japanese version of the Tessar wins hands down. 7. The loading is easier, with a back that does not come off, but the tradeoff is you have to line up the red arrows (instead of using the Rollei Automat’s film sensor).